If they can fake a President and pass off a forged birth certificate for 8 years, the Democrats have no problem faking a signature in a yearbook and stealing another election. It's who they are. -W.E. The inflection of the “Y” is more pronounced in Moore’ signature as Chief Justice. The “R” is noticeably longer in the signature of Chief Justice, as well. The one on the right looks a lot more like his Chief Justice signature. In addition, Wictor points out the restaurant where Nelson alleges the incident took place was “forged,” incorrectly. “”Old Hickory House” in Gadsden was never called “Olde Hickory House.” The person who forged the signature got the name wrong,” claims Wictor. In addition, Wictor points out the restaurant where Nelson alleges the incident took place was “forged,” incorrectly. 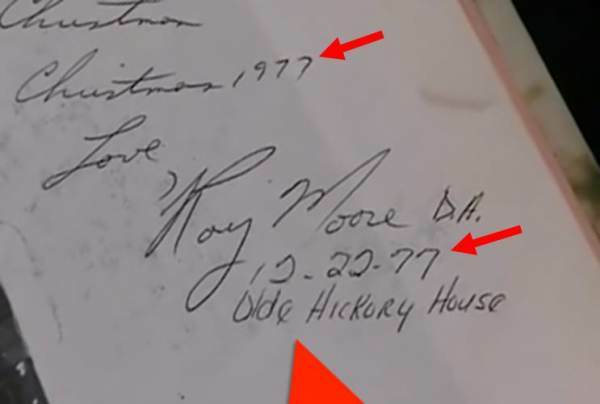 “”Old Hickory House” in Gadsden was never called “Olde Hickory House.” The person who forged the signature got the name wrong,” claims Wictor. The “forged,” signature also ends with “D.A.” There’s one problem… Moore was a Deputy District Attorney (DDA) at this time. “During his legal career, Judge Moore became the first full-time Deputy District Attorney in Etowah County, Alabama, and served in this position from 1977 until 1982. In 1984, Judge Moore undertook private practice of law in Gadsden, Alabama,” states Moore’s bio on his campaign website. “The accuser to this day calls him the District Attorney. He was NEVER District attorney. He was DEPUTY DA. DDA,” says Wictor. The accuser to this day calls him the District Attorney. He was NEVER District attorney. He was DEPUTY DA. In my opinion, the signature is forged. The "Olde Hickory House" and date were DEFINITELY written by someone else. Then there’s this– Who signs a yearbook in December? Yearbooks are published at the end of the school year: summer. 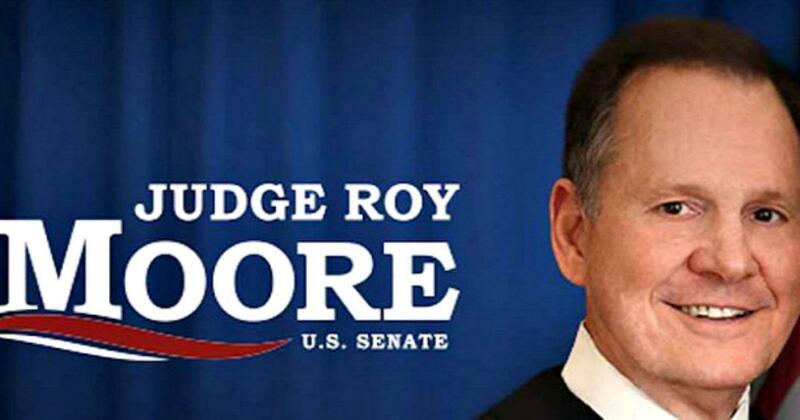 Judge Roy Moore is under siege from the mainstream media and political class after the Washington Post published sexual advancement allegations against the Alabama GOP Senate candidate. Senate Majority Leader Mitch McConnell told reporters today that Moore should drop out of the race.